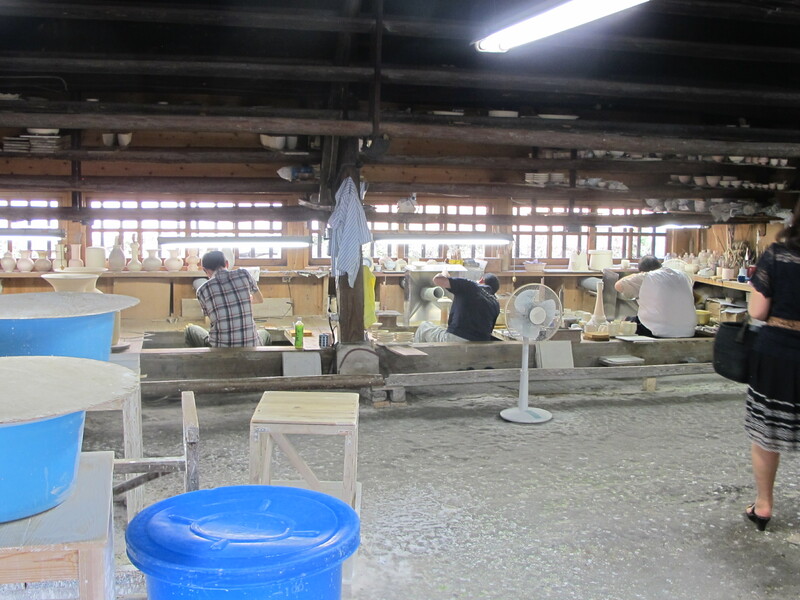 I have been in Japan for a while now, continuing my studies into single-stone porcelain making. I have made my way from Kyoto, where they make amazing porcelain, and am now heading down south to Kyushu. Another place that is known for its porcelain. 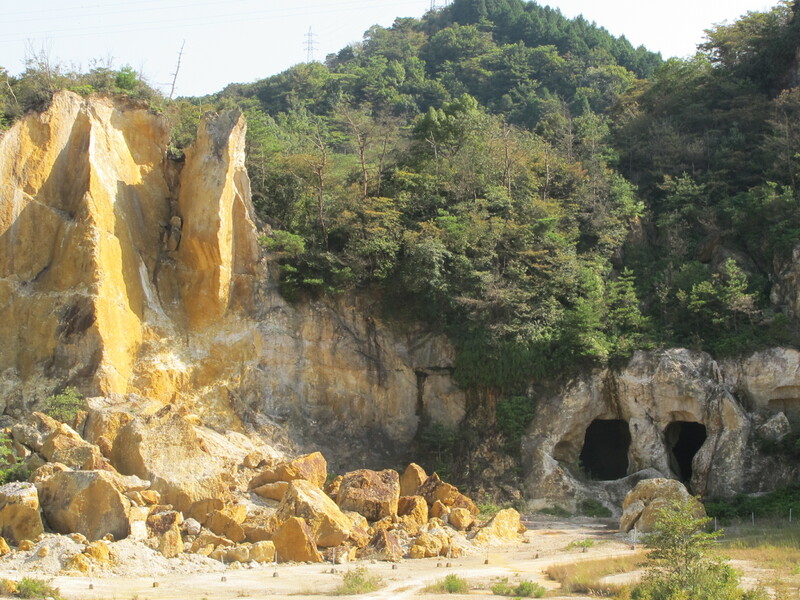 This is the home of the Izumiyama mountain and its rotten, read kaolinised, porcelain stone. They have been making porcelain from this local stone here for 400 years. In fact their 400th year birthday celebrations will be held next year. The local mine is all but worked out now, with all the high quality white material all quarried out and safely stored away in reserve for the family that makes the Royal dinner-ware for the Emperor and his family. There is still plenty of yellowish, iron stained material left here. If I lived here, I’d be using that low grade stuff and firing it to a bright crimson flash in the wood kiln, but they don’t seem to value that look, or they just don’t know about it. I suspect that they do know all about it, but perhaps it just isn’t thought to be a good look here? But I love it! I love the way that the red flash develops on my supposedly white porcelain clay. It contrasts so well with the perlucent blue proto-celadon. Especially when it is off-set by some jet black carbon inclusion from the intense reduction in the wood fired kiln. Anyway, it doesn’t matter, because I don’t have my kiln here to make this kind of pot. That is for me to do back in Australia. Here I’m a cultural tourist, taking it as it comes and learning what I can as I go. The quarry site is now a Preserved National Monument and protected from further extraction. It’s all a part of the local and national history now, and like all National Parks, it will be worth more in the future as it is, than the clay value of the low grade material that remains. 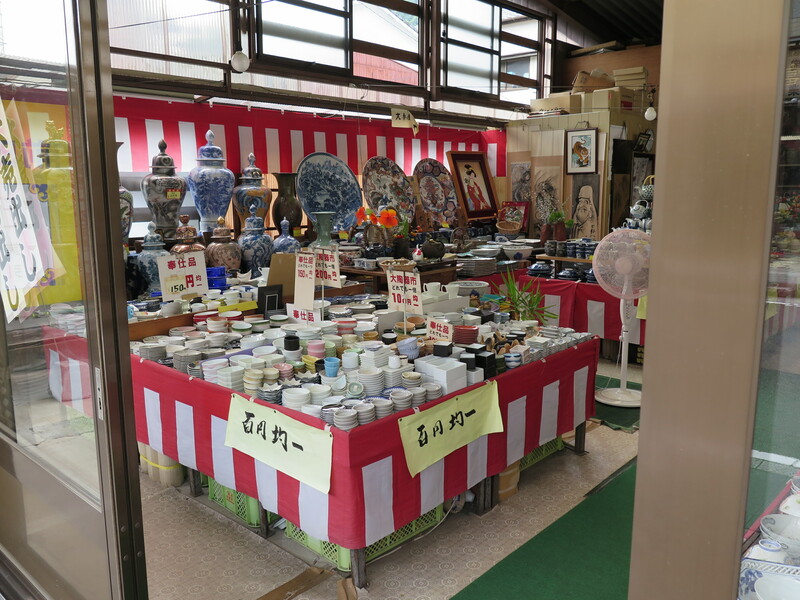 The current supply of single stone porcelain now comes from a couple of hours south of here, from near Kumamoto, and is called Amakusa stone. There are three grades in use here in the potteries. A low grade yellow, ground stone body, that is quite short and a little difficult to work with. It requires some patience and understanding to coax it into shape. This body is almost just like my own milled rock, native porcelain stone body, that I collect and mill at home in Australia. This being the case, I have no real problem working with it. It is just so very familiar to me. An ocean away and another island, but so, so, similar. This body is used by all the commercial potteries for their standard production. It isn’t really translucent and fires greyish white. 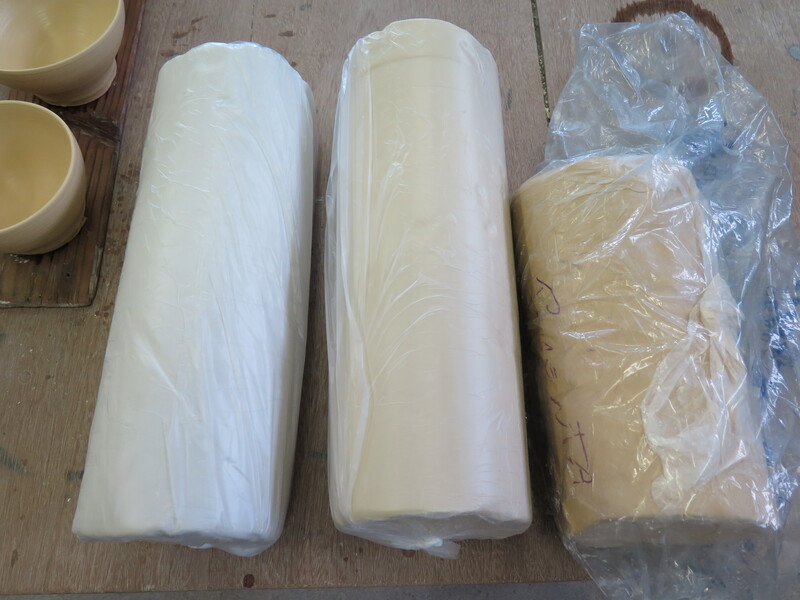 The second grade, which is used by all the better workshops for their production and some artists work, is a creamy off-white and fires almost white. It has reasonable plasticity as porcelains go, I found it easy to throw to a fine finish. It shows reasonable translucency when thrown and turned thin. The highest grade is very white and quite plastic as translucent porcelains go. It is very translucent and fires ultra-white. It is a very good blend of plastic kaolinised material and flux materials. I can tell that there isn’t too much stone in this blend. I really like it. I wish my clay was this white and plastic. It’s hard to come to terms with, I can’t imagine it, after all these years of working with my own iron-stained, plasticity-challenged, hard, milled, native stone porcelain body. Short, tearing and crumbly. This stuff here is really great. I’ve been visiting a few potteries and looking at what they make and how they do it. Of course nearly all the production here is pressure cast. But it’s the hand worked studios that I’m more interested in. The production outlets here sell their product for next to nothing. I don’t know how they can stay in business? 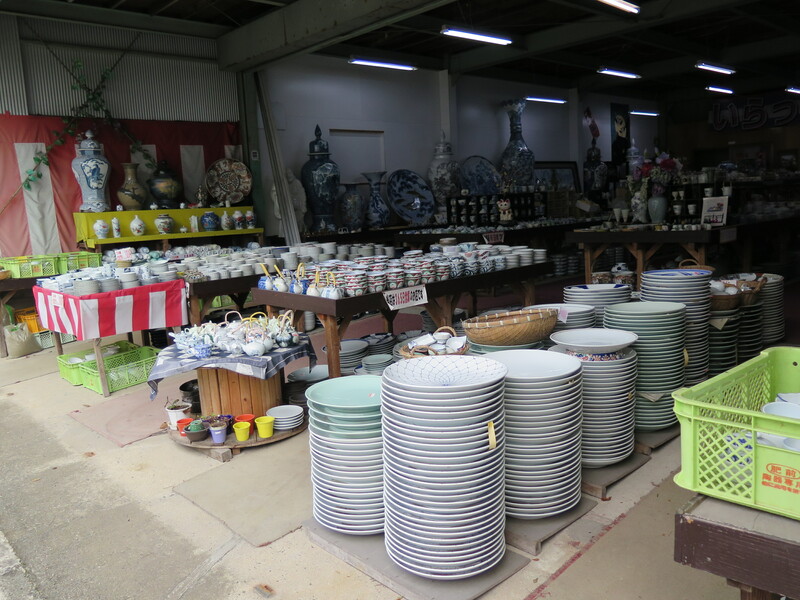 They sell small cups, dishes and plates for $1 or $2 each. Unbelievably cheap. Insane prices. Today I saw 500mm. dia platters, in decorated white porcelain, on sale in huge piles, for just $42 each. This couldn’t possibly pay the gas bill, never mind pay for porcelain clay, rent, or wages! One explanation is that they get their gas very cheap from some far away place that is stupid enough to sell their exports too cheap – Australia! I’ve watched some of these potters work with this high-grade, ultra-white, stuff. Their workshops are very clean and neat, as you’d expect. The pace is measured. They throw quite thick, but then spend a lot of time turning. They trim both inside and out. It results in a very fine finish and absolute accuracy. 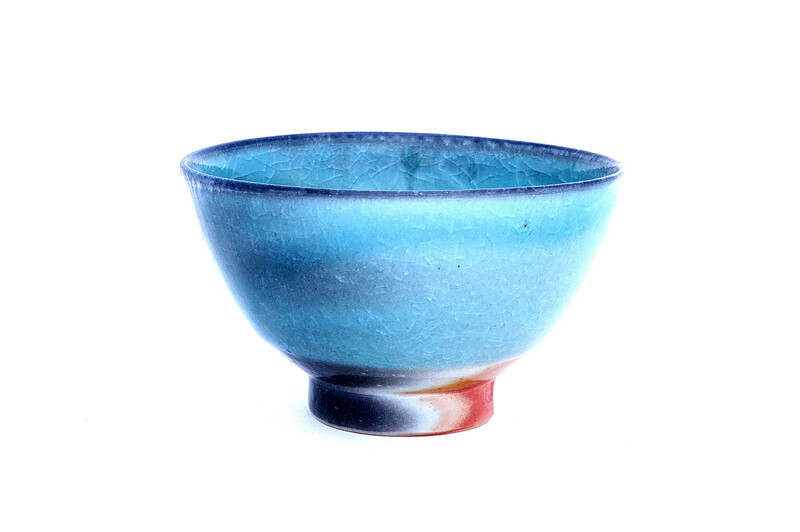 They use profiles in both throwing and turning to gauge the form precisely. In one workshop, they even weighed the individual pieces as a final check of accuracy. I’m enthralled, I’m amazed, I’m incredulous. I’m just a little bit appalled. Why waste your life competing with a computerised machine. The machine always wins, John Henry! I just don’t want to work like this. Not to this level of perfection. I’m quite imperfect as an individual. I feel that my pots should reflect this imperfection, this quality of humanity. I’m sure that there are machines that can do all this better, quicker and cheaper. However, what I have already come to terms with after working here for only such a short time, is that I’m a complete amateur. I know so little. What I have discovered for myself after 40 years of intensive practice at home in Australia, isn’t even a pimple on the arse of the knowledge base here. I look at what I am making, the finish that I’m getting, the slight finger marks and wobbles in my forms. Suddenly it has ceased to appear as ‘character’, a gently imperfect, human creation, but rather, just plain naive and childish, and not in a good way, almost crass in its incompetence. 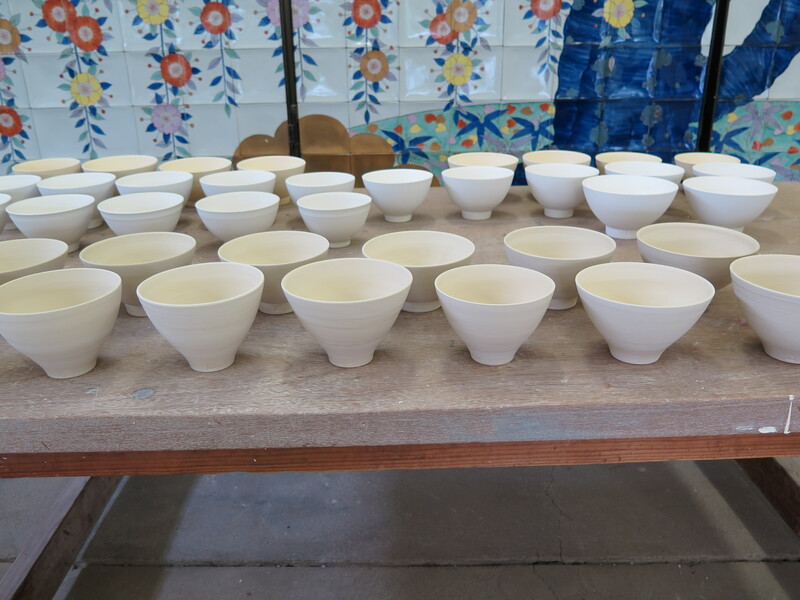 I can see that I’ll have to get stuck in and remake all these pots, if I want anything at all to take home and feel justified in showing anyone this work from my trip. I use to feel that my work had it’s own particular flavour, but now I realise that it is the flavour of water. This entry was posted in Japan, travel by hotnsticky. Bookmark the permalink.